Located in the foothills of the Alps, Lake Como for centuries is known as a great destination to rest your body and soul, and get inspired by the pure beauty of the surroundings. Nowadays, its scenic views and blue, deep water continue to attract people from all over the world. One of the main attractions of the area are beautiful Villas of Lake Como. Towns and villages around lake Como have enough to offer to keep you interested for weeks, starting with culture, art, and sports activities, and ending with luxurious hotels and Michelin restaurants. Without doubts, Villas of Lake Como, surrounded by astonishing parks and gardens, are ones of the most visited in the area. Which one to choose? Here is a list of 3 Villas of Lake Como, that left the best impression on me. All of these are both gorgeous and so different from one another. Most Romantic of Villas of Lake Como. Villa del Balbianello. My favorite villa is situated on a beautiful peninsula, overlooking Lake Como. 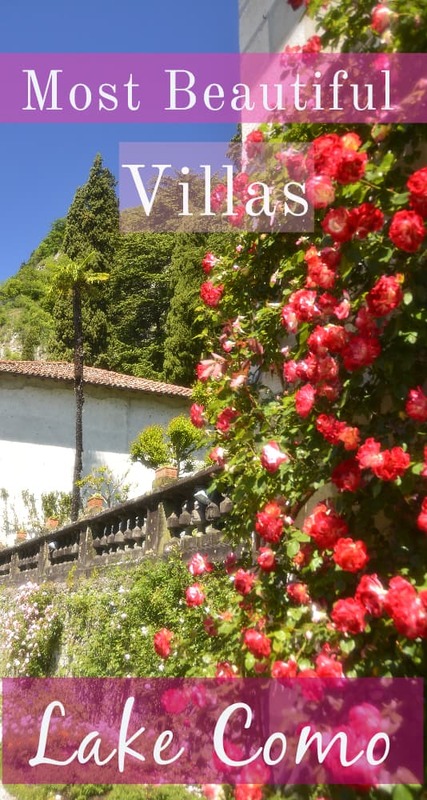 If you are searching for a romantic getaway, you can’t beat Villa Balbianello. In search of the most beautiful place in the world to shoot a scene on planet Naboo for an episode of Star Wars, George Lucas has chosen this particular villa. That’s how spectacular it is. Indeed, the villa is so much more than just a stage of a famous movie. Every single corner of the house is full of treasures. I would never expect to see such an incredible collection of artifacts there. What I like the most about this place is a great atmosphere, created by the last owner, who was a passionate traveler and explorer. 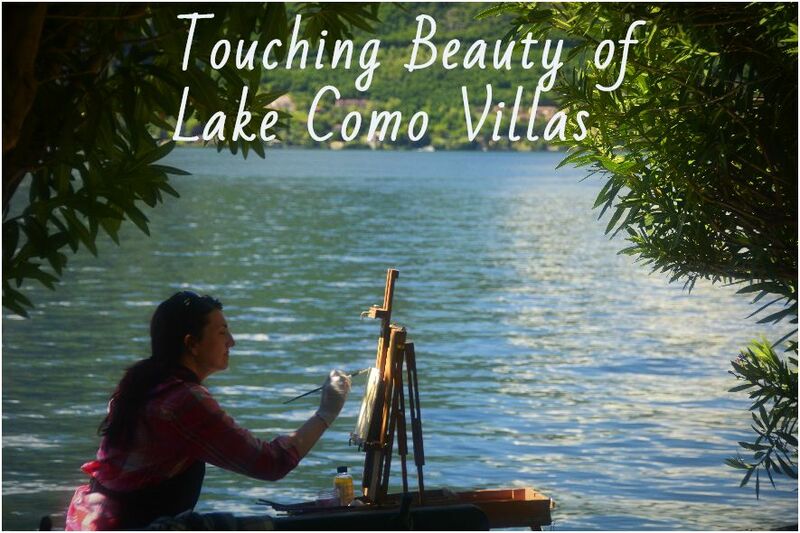 Unlike other Villas of Lake Como, it looks cozy and charming despite its grandeur. I miss the villa because there I felt happy and inspired. My second recommendation is Villa Melzi. It is one of the hidden gems of Lake Como, located a short walking distance from the famous Bellagio. Boasting stunning views and great atmosphere, the villa is also not spoiled by tourists. During our visit on a beautiful summer day, we were among the very few visitors there. Though, we managed to meet a new friend there (little cute squirell, too fast to take a descent picture). The villa itself is not open to the public. However, you can easily spend a few hours strolling around its enormous, well-maintained gardens, or relaxing on one of the little benches. One of my favorite spots is up to the hill, in the shadow of the trees, surrounded by fabulous hydrangeas of all colors imaginable. Take your time to visit a small exhibition in the orangery, and the charming family chapel also. Let yourself get lost walking the numerous trails, and enjoy the true spirit of Como. And the third one in the list is the famous villa Carlotta. Located just 10-15 min by ferry from Bellagio, this villa is probably the most visited in Como region. Set aside at least 2 hours to walk around its extensive (8 hectares) gardens. You will be able to observe a great variety of vegetation. Starting from Japanese bamboos, cedars, and stately Sequoias, to the rainforest, skillfully maintained by local gardeners. 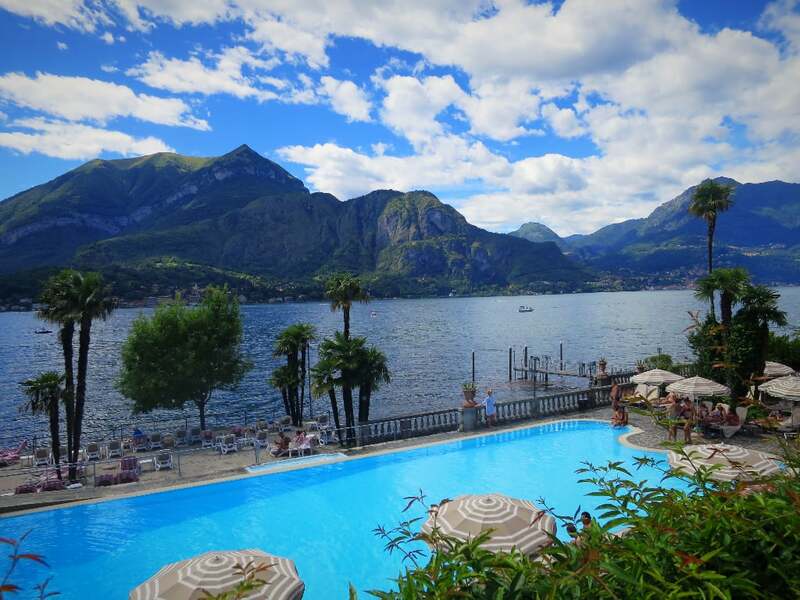 Walk up the hill and take your time to enjoy stunning views of Bellagio, lake and surrounding mountains. Then head back to admire the splendor of the past inside the villa. If you love Art, you will appreciate a collection of masterpieces in the villa. Small collection includes Canova sculptures and Hayez paintings. Inside, classical music concerts often happen on the first floor of the palace. For special occasions, florists decorate saloon with stunning beauty bouquets, almost too beautiful to be real. If you are lucky enough, you have a chance to see one of the great performances, organized by villa staff. In conclusion, spectacular Villas of Lake Como never fail to impress. So pack you luggage and enjoy your time! OMG! These villas are breathtaking! We’ve never been to Lake Como, but would love to go there for a weekend just to visit these beautiful villas. Thanks for this post. Oh my goodness, those are all stunning villas! 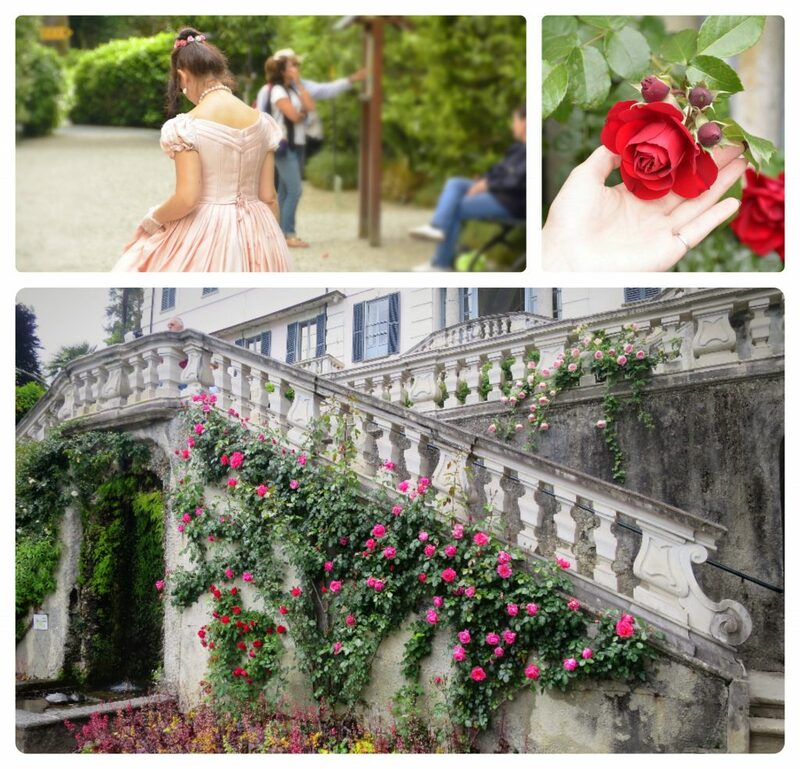 I always thought of Lake Como as a fairytale land, and these pictures and descriptions just add to that fantasy! I love Lake Como and was just in Bellagio last year. Love the area and will return again some day. These Villas are just stunning! I went to Lake Como for a wedding a few years ago and stayed in a beautiful villa and absolutely fell in love with it. It’s one of th emost beautiful places in the world. We never knew Lake Como was this beautiful! We would love to go here one day. Really love it that you gave us the addresses! Makes it such an easy search now! Thanks for sharing. By the way, lovely blog. Keep it up! Wow. Italy is just so stunning. Would love to visit Lake Como and see these villas! Wow! Those villas look amazing! And very classical too! Villa Balbianello looks very exceptional too! I love the room. It feels like being transported back in time! You make me dream about playing princess at one of those fantastic hotels. It seems like the perfect destination for a romantic getaway. I will show it to my husband tonight – Valentines day 2019 here I come!!! Lake Como is my favorite destination in Europe. Staying in majestic villas on beautiful lake front is the most beautiful thing to do here. I adore Lake Garda, but this has inspired me to explore Lake Como too – what a beaut! This is a beautiful set of photos! I have plans to visit Italy, so will be bookmarking this page, because I am planning to go to places around Milan. These villas are so gorgeous! I absolutely love the photos of Villa Balbianello. The interior looks so decadent, but the vines growing on the outside of the building give it sort of a homey charm. These villas are so gorgeous! 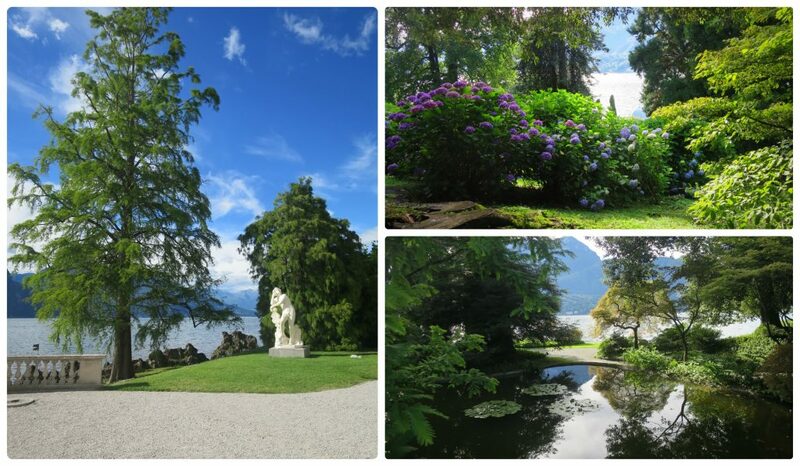 I love villa del Balbianello…and when I first saw it, I thought it looked like the scene from Star Wars. Now I know that I’m not going crazy! I can’t wait to visit Italy one day and make it to Lake Como! The flowers up that staircase look absolutely amazing! And all the pools! So beautiful! Where was Lake Como when I was getting married. This place is stunning. Thanks for sharing these amazing photos. hahaha Kellyn, I heard it’s super hard to book for a wedding there, even though it should be gorgeous! We went to villa del Balbianello as well and were blown away. Wow Melzi looks pristine and very quiet. We didn’t make it to Villa Carlotta but it looks amazing. Lake Como is stunning. Lake Como is a dream! There’s something so ethereal and classic about this part of Italy. And each of the villas you have picked is stunning. Did you go for some organized tour? Those villas are really wonderful. It makes me feel I am paradise staying with those kinds of places. I think that it is also a perfect place for people who wants to get married or where they can have pre-nuptial photos. Thanks for sharing this with us.